We’ve all had that moment throughout the work week when this scenario happens: You’re on a productive streak, making great progress with your work. As you begin to dial in, you notice people in your vicinity gathered around to discuss something. Around the corner, you begin to pick up another audible conversation and while the phones are ringing loudly, the person next to you is playing Celine Dion’s Greatest Hits. You’ve probably tried a polite, “Can you keep your voices down please?” or even thrown on a pair of noise-cancelling headphones but, such tactics rarely solve the underlying issue and it can become defeating. We tend not to think much of these distractions however this is according to experts, a new norm in the workplace – and it’s getting worse. 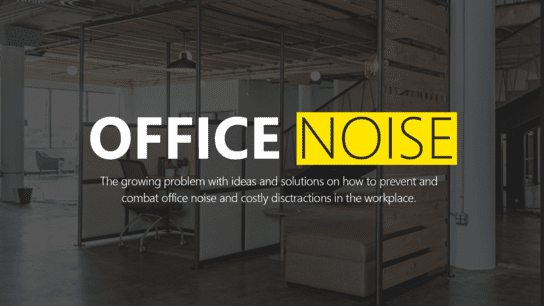 According to a 2018 Workplace Study by online learning leader Udemy, “Noisy, interruption-prone offices make employees unmotivated, stressed, and frustrated.” We work with customers across Los Angeles who consistently mention office noise and distractions as a major roadblock to efficiency, business growth and productivity for their company and its employees. The Udemy study found that chatty coworkers (80%) and office noise (70%) were cited as top distractors overall. Castillo recalls an example of this through a project at the University of Southern California where students gathering in the library presented varying styles of study and work. “Libraries in a university setting have competing goals” she continued, “Adding dedicated, private rooms with ample sound proofing can allow for collaboration to occur among students while decreasing noise levels to others around them.” Castillo has found such solutions to work for similar customers as well. Still, there is a disconnect between the people creating the space and those who interact and use that space. A 2015 survey by Oxford Economics surveyed more than 1,200 senior executives and non-executive employees from a range of industries around the world. Their findings uncovered disproportionate results like 39% of executives who felt ambient noise affects their employees’ productivity compared to more than half of employees surveyed who said ambient noise reduces their satisfaction at work. We’ve seen in our own experience that employees (or “end users”) aren’t involved in these early discussions of workplace design and often lead to unfavorable or undesirable results. We recommend, if possible, surveying employees and taking their needs into account before, during and after a substantial workplace design or space reconfiguration. 39% of executives who felt ambient noise affects their employees’ productivity compared to more than half of employees surveyed who said ambient noise reduces their satisfaction at work. “Design also plays a pivotal role in sound proofing a space so it’s important to start a dialog early on”, says Lindsay Anderson, Studio Associate at Pacific Office Interiors. “Customers (and General Contractors) might leave out important factors like noise when creating a new office space and don’t realize these issues until after drywall is up and end users have already begun to move in.” This is especially true when considering the materials being used in the construction of new developments and office fit outs. We know that distractions range in scope and scale for each business leader, but the real question here is- what can be done about it? Luckily there are ample solutions available for your business and we want to take a moment to share a few strategies we employ with our customers to improve such distractions from your workplace. Sound Masking has been around for some time, yet few understand how it works or how to use it in workplace design. We’ve worked with Speech Privacy Systems for over a decade who specialize in visual and acoustic privacy solutions. Sound Masking in an office setting can add a source of unstructured, low-level sound to create a pleasant ambiance and make human speech less intelligible. 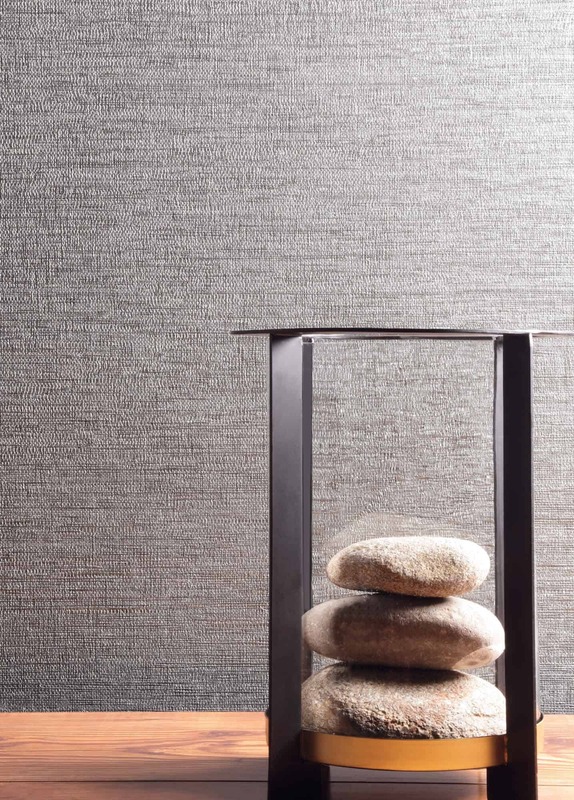 The possibilities are truly endless with acoustic products, which includes everything from acoustic ceiling tiles and room dividers, to applied wallcoverings and freestanding panels. We’ve put two of our favorites below, MDC and Haworth’s Openest Collection to get you on the inspiration train but, there are hundreds of options at our disposal to help reduce noise. You can see more products and meet our preferred vendors HERE. Why stop simply at furniture and sound masking? Let’s go one step further and look at architectural solutions like Haworth’s Trivati System. 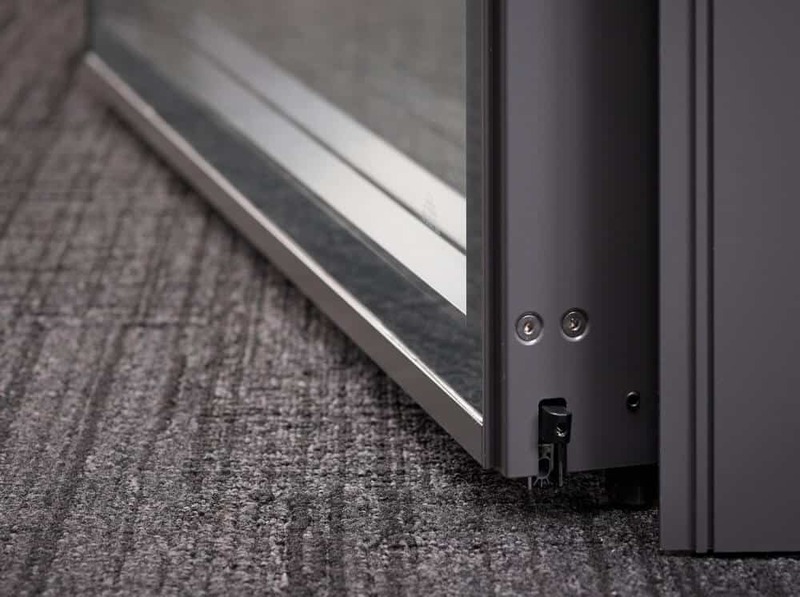 Trivati’s flexible tri-channel rail can be fitted with up to three layers of vertical insert panels letting you fine-tune aesthetics, visual and acoustical privacy, and budget room by room, while creating one cohesive look. The design even delivers a higher Sound Transmission Class (STC) rating than traditional drywall and other demountable walls. We can’t stress the benefits of surveying your employees enough when it comes to workplace design and overcoming noise in your space. The best part of this tool is that any company, anywhere can conduct a survey that can get a true read on what’s happening. Consider keeping the identity of respondents private so that employees do not feel threatened or afraid of being too honest. You want honest feedback, but you want to do so in a way that makes employees comfortable enough to share. We facilitate these with some of our customers and they can deliver immense value if done right. We hope this inspires a dialog for you and your company on the real effects that noise and distractions can have on its people. Whether you’re in Human Resources, Information Technology, Facilities or Senior Management, there’s nothing wrong with taking a pause and asking, “Do we have a space that allows our employees to do their best work?” If you’re willing to start an honest conversation, you might be surprised by the feedback you receive from employees which could ultimately help them to become more engaged, more productive, and less affected by noise distractions in this ever-changing world.